17 Days and Counting … and Some First Book Reviews!!! Then just click on Book Ordering. American history presented in an entirely new way — without the tired stories, heavy words; without the litany of “isms” and “ologies.” A presentation of the Memorable Words of our country including both the fascinating and frivolous, the tragic and momentous, the eloquent and bumbling; the touching and endearing – from Ike to Obama, from Lucy to Lady Gaga. Who said what and when and where – exactly together with anarrative following each entry in order to place the words into their historical context and to explain the words’ initial impact and their lasting meaning. Through the tragedy of Vietnam and the disgrace of Watergate. 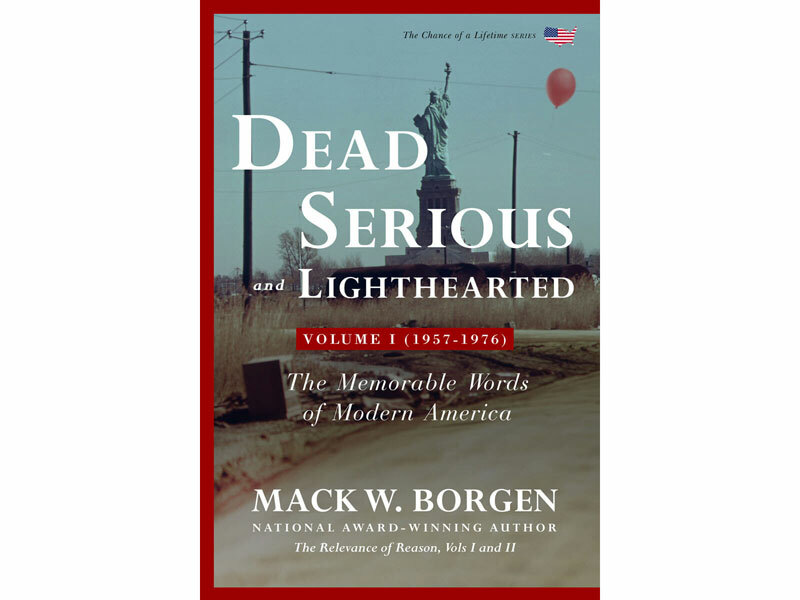 ….A creative, new, and smart look at American history – starting in 1957 and progressing year by year – through the use of myriad notable, striking, important, and useful words. … Extremely wide-ranging in its scope and coverage of subjects, … Borgen’s fresh way of presenting our country’s contemporary history is absorbing …. , and the “memorable words” that fill his book are reminders of where we – as Americans – were, where we are now, and where we might be heading. Tired of the “same ole” attitude that teaching history just covers one damn thing after another – no rhyme or reason? If so, …Borgen has a treat in store for you! Read this book! It is that rare experience of learning something and enjoying yourself at the same time. Book costs may be tax deductible in certain circumstances such as if delivered as client/customer appreciation gifts or used for client or prospective client development. Please consult your tax advisor. This entry was posted on Friday, March 9th, 2018 at 3:08 pm	and is filed under Latest News, Mack's Books. You can follow any responses to this entry through the RSS 2.0 feed. You can leave a response, or trackback from your own site.